Under IAS 2, specific identification must be employed to cost inventory that is not ordinarily interchangeable, and goods and services produced and segregated for specific projects. For inventories meeting either of these criteria, the specific identification method is mandatory and alternative methods cannot be used. So, what is specific identification? You asked. The theoretical basis for valuing inventories and cost of goods sold requires assigning the production and/or acquisition costs to the specific goods to which they relate. For example, the cost of ending inventory for an entity in its first year, during which it produced ten items (e.g., exclusive single family homes), might be the actual production cost of the first, sixth, and eighth unit produced if those are the actual units still on hand at the date of the statement of financial position. The costs of the other homes would be included in that year’s income statement (the presentation of comprehensive income in two statements) as cost of goods sold. This method of inventory valuation is referred to as ‘specific identification’. Specific identification is generally not a practical technique, as the product will generally lose its separate identity as it passes through the production and sales process. Exceptions to this would generally be limited to those situations where there are small inventory quantities, typically having high unit value and a low turnover rate. Because of the limited applicability of specific identification, it is more likely to be the case that certain assumptions regarding the cost flows associated with inventory will need to be made. One of accounting’s peculiarities is that these cost flows may or may not reflect the physical flow of inventory. …cost for inventory purposes shall be determined under any one of several assumptions as to the flow of cost factors; the major objective in selecting a method should be to choose the one which, under the circumstances, most clearly reflects periodic income. Under the current IFRS on inventories, revised IAS 2, there are two acceptable cost flow assumptions. These are: (1) first-in, first-out (FIFO) method and (2) the weighted-average method. There are variations of each of these cost flow assumptions that are sometimes used in practice, but if an entity presents its financial statements under IFRS it has to be careful not to apply a variant of these cost flow assumptions that would represent a deviation from the requirements of IAS 2. Furthermore, in certain jurisdictions, other costing methods, such as the last-in, first-out (LIFO) method and the base stock method, continue to be permitted. The LIFO method was an allowed alternative method of costing inventories under IAS 2 until the revision that became effective in 2005, at which time it was banned. Certain important jurisdictions such as the US still allow the use of the LIFO method, and since use of LIFO for tax purposes necessitates use for financial reporting, the elimination of LIFO in the US is a controversial topic and may hinder full convergence with IFRS. The US Congress is debating a bill that would ban the use of the LIFO inventory costing method, so this impediment to convergence may be eliminated as an issue. The FIFO method of inventory valuation assumes that the first goods purchased will be the first goods to be used or sold, regardless of the actual physical flow. This method is thought to parallel most closely the physical flow of the units for most industries having moderate to rapid turnover of goods. 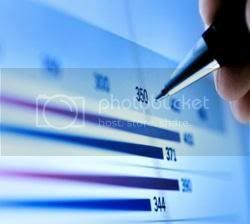 The strength of this cost flow assumption lies in the inventory amount reported in the statement of financial position. Because the earliest goods purchased are the first ones removed from the inventory account, the remaining balance is composed of items acquired closer to period end, at more recent costs. This yields results similar to those obtained under current cost accounting in the statement of financial position, and helps in achieving the goal of reporting assets at amounts approximating current values. However, the FIFO method does not necessarily reflect the most accurate or decision-relevant income figure when viewed from the perspective of underlying economic performance, as older historical costs are being matched against current revenues. Depending on the rate of inventory turnover and the speed with which general and specific prices are changing, this mismatching could potentially have a material distorting effect on reported income. At the extreme, if reported earnings are fully distributed to owners as dividends, the enterprise could be left without sufficient resources to replenish its inventory stocks due to the impact of changing prices. This problem is not limited to inventory costing; depreciation based on old costs of plant assets also may understate the true economic cost of capital asset consumption, and serve to support dividend distributions that leave the entity unable to replace plant assets at current prices. Notice that the total of the units in cost of goods sold and ending inventory, as well as the sum of their total costs, is equal to the goods available for sale and their respective total costs. The unique characteristic of the FIFO method is that it provides the same results under either the periodic or perpetual system. This will not be the case for any other costing method. The other acceptable method of inventory valuation under revised IAS 2 involves averaging and is commonly referred to as the weighted-average cost method. The cost of goods available for sale (beginning inventory and net purchases) is divided by the units available for sale to obtain a weighted-average unit cost. Ending inventory and cost of goods sold are then priced at this average cost. The weighted-average cost is $780/300, or $2.60. Ending inventory is 125 units at $2.60, or $325; cost of goods sold is 175 units at $2.60, or $455. When the weighted-average assumption is applied to a perpetual inventory system, the average cost is recomputed after each purchase. This process is referred to as a moving average. Sales are costed at the most recent average. This combination is called the moving average method and is applied below to the same data used in the weighted-average example above. Cost of goods sold is 75 units at $2.10 and 100 units at $2.70, or a total of $427.50. Second, any decline in value in a period should be reported in that period’s results of operations in order to achieve proper matching with current period’s revenues. Were the inventory to be carried forward at an amount in excess of net realizable value, the loss would be recognized on the ultimate sale in a subsequent period. This would mean that a loss incurred in one period, when the value decline occurred, would have been deferred to a different period, which would clearly be inconsistent with several key accounting concepts, including conservatism. Revised IAS 2 states that estimates of net realizable value should be applied on an item-by-item basis in most instances, although it makes an exception for those situations where there are groups of related products or similar items that can be properly valued in the aggregate. As a general principle, item-by-item comparisons of cost to net realizable value are required, lest unrealized “gains” on some items (i.e., where the net realizable values exceed historical costs) offset the unrealized losses on other items, thereby reducing the net loss to be recognized. Since recognition of unrealized gains in profit or loss is generally proscribed under GAAP, evaluation of inventory declines on a grouped basis would be an indirect or “backdoor” mechanism to recognize gains that should not be given such recognition. Accordingly, the basic requirement is to apply the tests on an individual item basis. IAS 2 stipulates that a new assessment of net realizable value should be made in each subsequent period; when the reason for a previous write-down no longer exists (i.e., when net realizable value has improved), it should be reversed. Since the write-down was taken into income, the reversal should also be reflected in profit or loss. As under prior rules, the amount to be restored to the carrying value will be limited to the amount of the previous impairment recognized. Note that, under parallel requirements imposed by some national GAAP, such as that in the US, once inventory is written down to a lower amount of net realizable value, it cannot be restored to original cost even if conditions change in later reporting periods.